In an effort to close the digital skills gap, Microsoft has kicked off Future Ready, an annual initiative run in partnership with nonprofits and schools. It aims to generate interest among students to learn computer science and empower teachers with skills to teach computer science. 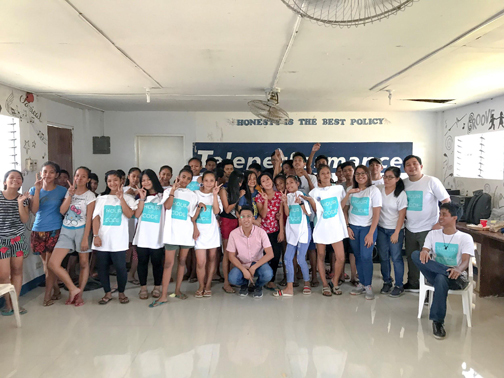 Students and educators of Sitio Ibabaw ng Gabihan School in Tanay, Rizal participate in Microsoft’s Future Ready workshop. Launched in conjunction with Computer Science Education Week, Microsoft empowers close to 700,000 young individuals—particularly from underserved communities—with opportunities to pursue their passion in computer science, and more than 26,000 educators to teach high quality and inclusive computer science across Asia Pacific over the next year. “Microsoft believes that education is essential to personal and country-wide economic growth,” said Raul Cortez, corporate external and legal affairs director of Microsoft Philippines. Future Ready aims to increase access to computer science as Microsoft drives workshops for 2,000 educators, teaching them how to facilitate engaging and inclusive computer science classes to more than 200,000 youth. For the fourth year in a row, Microsoft has partnered with Code.org to provide young people the opportunity to learn the basics of coding through its game-based learning program, Minecraft Hour of Code Tutorial: Voyage Aquatic. Beyond an hour of code is the Asia Pacific’s Next Top Coder, a free online competition led by Empire Code in partnership with Microsoft and Lenovo. Students between the ages of 13 and 19 created a Minecraft world enhanced with code that reflects a period of time in history, using Minecraft: Education Edition and Microsoft MakeCode for Minecraft.